If you are looking for a repository which will provide you with some pretty good Live sports and updates?… There you are in the right spot… This repository is for you. 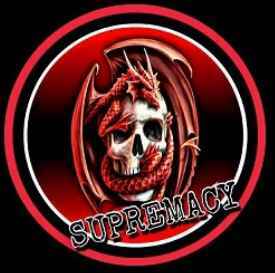 Supremacy repository is one of the best Kodi repo which is dedicated to sports add-ons. This repo was started mainly as a storehouse for its own addons, Supremacy addons. The collection of the add-on has grown continuously and now it integrated many must-have add-ons into it. Supremacy Kodi Repository serves as the host for the best Sports add-ons, which helps the user to stream most of the live sports event, highlights and replays. Unlike other repositories, Supremacy repo contains less number of add-ons. But it provides you with the best and most popular addon list. One more important thing about this repo is, it has an active group of developers, who are working on a few other new add-ons within it. This repo is considered as one of the best Kodi repositories because of its great, active collection of developers and add-ons. You can also download the zip file using the GitHub browser. Let us see how to install this repo on Kodi. Step 1: Select the settings gear icon present at the top left of the home page. Step 3: Double-click on Add source. Step 4: Add source file tab will pop-up, then select none. Step 5: Enter the path for the source file. Type the URL: http://supremacy.org.uk/zip/repo/ and select OK. Step 6: Add a name for the source file (in order to make the identification easier) and select OK. Step 8: Select the Package installer icon present at the top left corner. Step 9: Click on Install from zip file. Step 10: Install from zip file tab will pop-up, search for the source file name you have entered and select it. Step 11: The file will be downloaded shortly and then a pop-up will appear at the top right corner. Step 12: Click on Install from repository. Step 13: Select the Supremacy repository. Then install your favorite addon and enjoy its service. Supremacy Kodi repo brings you with best sports add-ons like Sports devil, Supremacy Sports, Planet MMA, and Elektra Vault. These add-ons are top rated and most popular when it comes to sports content. You can watch Live events, replays, highlight, upcoming schedules along with time and much more. Other than sports add-ons, it also has a few all in one addon like Magic Dragon and there are many entertainment add-ons too. It has a subtitle subfolder which enables you to download subtitles without any authentication. On a whole, it contains 22 video add-ons and 5 program add-ons. That’s all about the addon in Supremacy Repository. Now you can have an idea about it. If you have any issues with the installation procedure or any feedback, kindly comment below.